India is a country with very diverse cultures and languages that come along with a number of traditions, beliefs and rituals. This diversity along with the scenic beauty of the locations is the main reason why millions of people are visiting India every year. The unique taste of culture and history is also one of the attractive features of the country seeing as the civilization of India is one of the oldest and greatest of all time. However, touring India without proper preparations can be a very bad experience. While many seasoned travelers have had the adventures of their lives after bustling around the country on a whim, this is a place where you are much better off with a plan of action. If you want to travel to the best places in India, avoid awkward situations, and stretch your money the furthest, then read on and take note of these tips. Jot them down, prepare yourself and get ready for the experience of a lifetime, without having to spend a fortune. Getting the assistance of a travel planner or a tour operator can be a very good thing to do. While there are a number of ways to get the most out of your money on your own, you will appreciate India more in many ways if you seek out professional advice. Travel to India can be cheap if you get the assistance of a reputed tour operator. You can also opt for Indian travel packages by the reliable travel agencies, or just take advantage of daily tours. This isn’t to say that a packaged tour is the best or cheapest way to go, but it can save a ton of unexpected and unnecessary hassle. Finding the perfect mix of cheap hotels that include excellent features is obviously the best way to go. One of the best tips in terms of saving money on accommodations in India is to try and find hotels that offer payment in the local currency. Not only will the accommodations be slightly cheaper in Indian Rupees, but there is also a lot more wiggle room on the price and opportunity to barter. If you are looking for a deal then leave your credit card at home and pay in cash whenever you can. If you are looking for a little more luxury though, it also isn’t very hard to find. India is a place where luxury has no limits, and you can find hotels that will pamper you beyond belief for a fraction of the price. Try to find the right balance and lay your head down in an affordable, locally owned hotel for a few nights and then pamper yourself for one or two nights of the week at a high class establishment. Joining a group tour is often a decent idea as they can offer you great safety and companionship. Having partners for visiting the various exotic locations in India can be an added plus and make it easier to find your way around and get accustomed to local intricacies. Aside from connecting with other tourists you can also look into getting the help of a local guide while visiting the various destinations in India. While many travelers think that this isn’t really the authentic way to get around, you can gain from the insight and knowledge that these people have about the local customs and traditions. 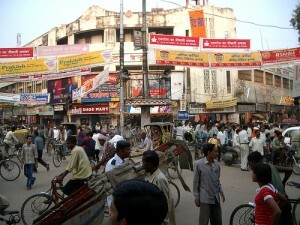 Getting travel insurance before you go on a trip to India is often a good idea. Unlike other more “cookie cutter” destinations, you cannot always be sure what is going to happen or what you may encounter. Even if nothing goes wrong though it can be nice to have some travel insurance in case you want to delay your return home and stay in India for a few extra days. India cannot really be described as travel location, as it really offers more of an experience. The forts and palaces of India will give you an insight into the heritage of India and the wild life tours are also cheap as well as thrilling in India, as there are many national parks and wildlife sanctuaries in India. The diversity of the flora and fauna within the country will also floor you and appear when you least expect it. India needs to be on your list of places to travel to. The only real advice to keep in mind is that you want to be prepared. If you plan ahead and seek out advice from expert travelers and tour guides then you can have the trip of a lifetime without breaking the bank. Some of the best things in life are free, and that is especially true when you walk the streets of India and take in the culture and history that is abound.